it's all about the hands!! Thank you very much for sharing your photos B4real. Nice shots and I like the colors very much! ..the last bow and goodnight! All these photos have been posted here in chronological order of the concert. I hope you all have enjoyed them as much as I have had pleasure in taking and presenting them. They were shot on a small 7 megapixel camera so not the best quality but the spirit is there. Had access to a great SLR camera but the venue wouldn't let it be used. Your report and the photos from the concert are really great. Glad you had a wonderful time. I wonder what will happen to Mathilda. 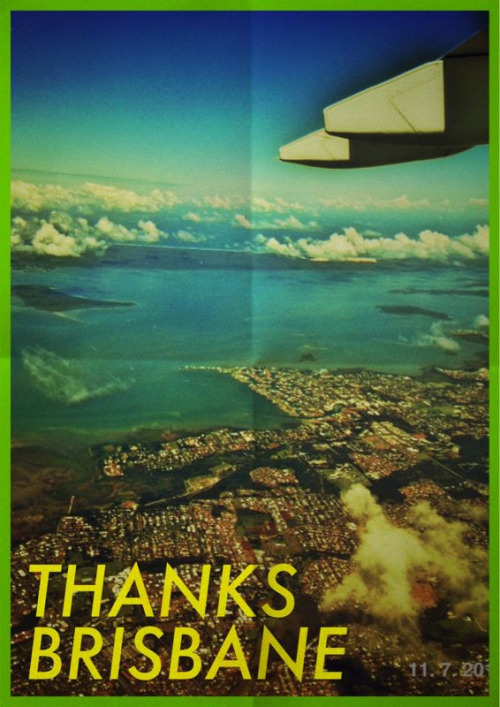 A warm thank you to everyone who attended the Brisbane performance; hope to see everyone again soon. Left cheek, right cheek - it's all good!! And thanks for your recap and pictures. Wish I had been there too. 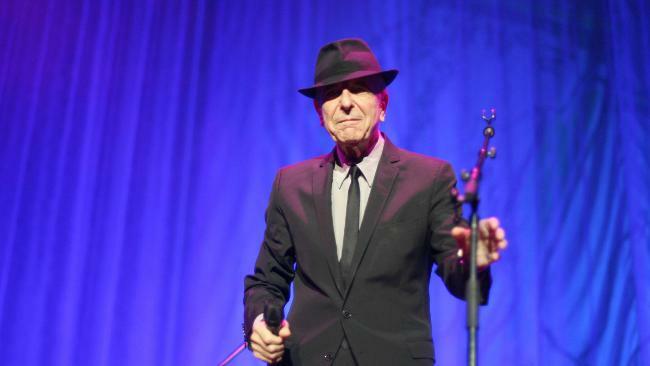 GOING strong: Leonard Cohen in concert in Brisbane. BELL-LIKE clarity: The Canadian singer performed for three hours at his concert in Brisbane. Photo Adam Armstrong. HOW to top perfection? That's not possible but it can be equaled, and the Canadian master of song made it two from two at this second Brisbane show in less than two years. If anything, his voice was even stronger and more resonant than in 2009, his delivery and diction making each word ring with bell-like clarity. As does every note and nuance from this superb band. This is the kind of performance where everything counts, from the deeply passionate guitar contributions of Spanish virtuoso Javier Mas to the trills of sighs of Neil Larsen's Hammond organ and the delicious voices, not to mention the backflips, from the Webb sisters and Sharon Robinson. Every detail is attended to, from the beautiful clothes to Cohen's lovingly detailed band introductions _ poetry in themselves _ and ensuring the set-list offered some extra treats for those who were present last year. Cohen is on stage for almost three hours and not a second of it drags. At 76, he doesn't miss a note or a syllable, and his stagecraft and presence is such that he somehow makes a large arena like this one feel intimate. The pacing of the performance might even have been superior this time: the first set begins with Dance Me to the End of Love and includes Who By Fire, with Mas's jaw-dropping scene-setter as an intro. But the second set is unstoppable: Tower Of Song, Suzanne, Sisters of Mercy, Hallelujah, I'm Your Man, the recited 1000 Kisses Deep, with So Long Marianne and First We Take Manhattan in the encores. The 10,000 present listen in rapt silence, exploding in delight between songs, realising they are taking part in one of most memorable concerts of their lives. In a world that obsesses over the trivial and praises the mediocre, this was something different: true greatness, depth, emotion. And all offered up with the grace and humility so frequently absent from our daily toils. 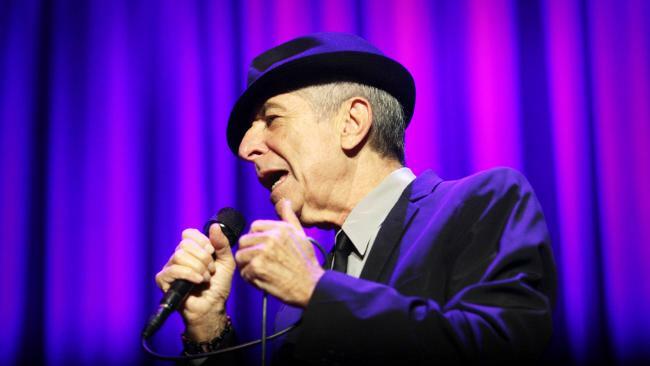 ``Thank you friends for keeping my songs alive for so many years,'' Cohen tells the audience. No one here is in any doubt they will go on living, even when he and we are gone. brilliant night - thanks Jarkko for the opportunity through the website for the best seats. the girls had started waking back on and Leonard just gave them a very small wave and they moved back and sat by the keyboards - very spur of the moment. Leonard seemed very "up" all night - lots of little nods, smiles and winks to the others - maybe it was just that we were close enough to notice! to the haughty middle-aged guy sitting next to her who insisted that she stop taking photos about 7 or 8 songs into the concert. wasn't me , but I nearly said something to the two women down the front who had to discuss the lighting and other photographic details (loudly) in the middle of songs like Suzanne! All in all as good a night as can be had. Thank you, Leonard et al. Thanks so much Dean. I will be in contact. Uploaded by "che2000000" - Thanks! As a writer, I can't help but wonder about those empty seats...what happened that was so terrible as to prevent two people from turning up to the concert of a lifetime? Life is a mystery. I was very close to the centre but I did have to twist my head sometimes (usually when Leonard was kneeling) to get a clear view around the cameraman. RickD wrote: wasn't me , but I nearly said something to the two women down the front who had to discuss the lighting and other photographic details (loudly) in the middle of songs like Suzanne! I am so with you there. Luckily, I was so lost in 'Suzanne' that I must have tuned them out, otherwise I probably would have lost my temper. I drove to work this morning in absolute silence. I wanted nothing to disturb my thoughts. The occasional monotonous clicking of the turn blinkers and the humming of the engine and the road under my wheels were the only sounds. I usually have one of Leonard’s CD’s surrounding me to greet the morning, but not today. I think I am starting to come down to reality again. Saturday night’s concert was such a high. Trouble is the higher you go the further you fall. On a more positive note, in the long run, “it is better to have loved and lost then never to have loved at all”……to have experienced something so unique and beyond words than to have never had a chance to do so even though you know that it must end. Now, I am no stranger to Leonard’s words or concert lines. I know every line of every song by heart. I have untold audio and video of him which I constantly play. But when he sang those same songs at the concert it seemed as if I heard them yet again but in a different light. Such is the magic he and they conjure up. I have a sneaky suspicion that most all who see Leonard feel this way after a concert. A return thank you to Joey and all the UHTC crew for all the unseen work they do ....and the last part of his quote is very interesting "hope to see everyone again soon"
Anyway, back to the Brisbane concert itself. A small detail that was not spoken about was that during Take This Waltz Leonard sings "I want you, I want you, I want you" as "Te Caro, Te Caro, Te Caro" singing the words to Javier Mas. Cheshire gal, I'm also happy that my photos and words pleased you Maybe I should just call the kangaroo Mat or Walt. I think he could be as above. .....and I am also now the proud owner of a new unified heart T-Shirt, a unified heart silver ring, a unified heart silver medallion and a programme for 2010. All in all, a concert to remember and cherish for more reasons than one. You made me feel the experience with your words. Thank you. Bev - when I was reading your recap, I had sort of wondered if Matilda had arrived on stage during "Take This Waltz." Congratulations about the silver medallion - and especially the silver Unified Heart ring. They really are special.